Add just enough shine and interest to your neckline with this fun mixed metal necklace. Versatile and lightweight, you'll never want to take it off. Bubble rings are made of sterling silver, bronze, and oxidized sterling silver. 3 circles total are approximately 1.5 inches wide. Wear it alone or layer it with other necklaces. 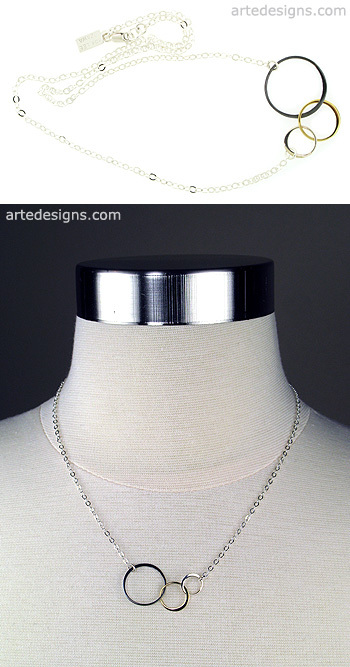 Sterling silver chain with a lobster clasp plus circles total 18 inches. Please contact me if you want a longer length chain.